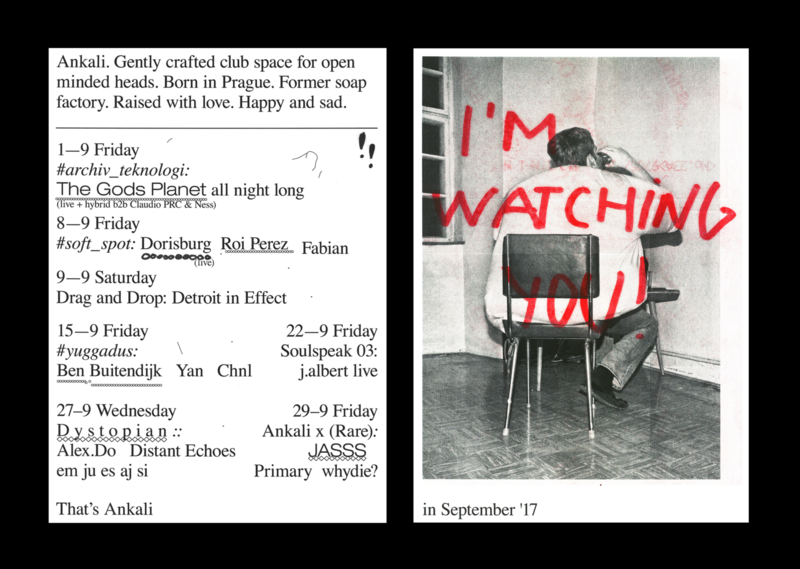 The Berlin imprint Dystopian had essentially sparked the love for techno in the heads of many among you (and us) and we’re thrilled to host two of the affiliated artists — Alex.Do and Distant Echoes — to work the decks at Ankali at the end of September. Dystopian mainstay Alex.Do mirrors the label’s ethos utterly: his lengthy sets explore ominous sounds and space-expanding atmospheres as well as trance-inducing beat sequences, all that at distinctive speed. Distant Echoes on the other hand stays true to his homeland of the Apennine peninsula and builds upon the post-acid hypnosis that has become a synonym of the Italian sound. Warming up the room will be em ju es aj si, an expatriate of our scene who (besides substantive film work) has been honing his skills in the German capital for the past couple years. PS: the date may seem a bit odd, but lucky for you the next day is public holiday.